Did you know that Ozdoba CZ s.r.o. 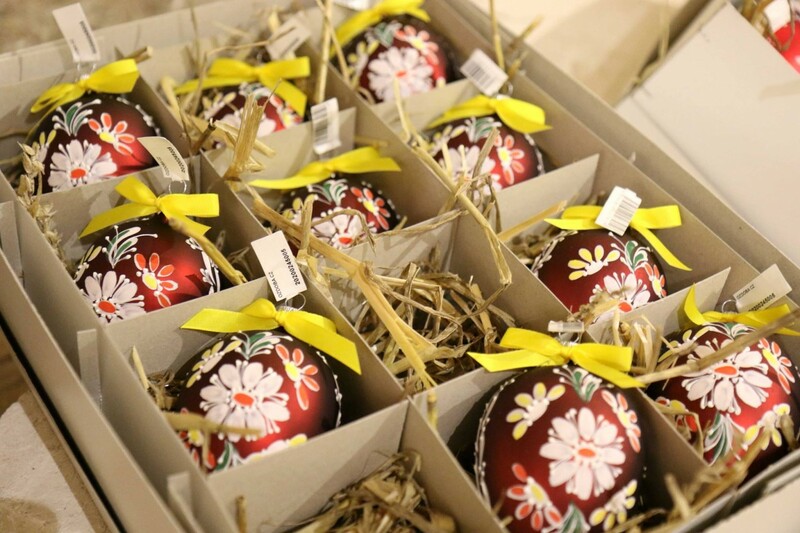 makes not only Christmas decorations for the tree, but also Easter eggs? Visitors to the castle cellars in Litomyšl over Easter will be able to make them to their own designs. The workshop for the decoration of glass Easter eggs provides entertainment not just for children but for adults as well. Giving a carol-singer a glass egg that they have made with their own hands can be an interesting personal Easter tradition. A limited number of already decorated Easter eggs are also available for sale. It is also possible to make glass animals such as chickens, hares and ducks. Along with this visitors can also enjoy good fortune in the form of lucky charms which they can get when buying a ticket for the draw. For those who enjoy playing and solving riddles, there is a game plan, with which they can explore the cellars and join in the tasting of wines and fruit juices. Along with that there is also the recognition of sculptures by Olbram Zoubek. Every year in September the European Heritage Days open to the public the gates of the most interesting monuments, buildings and spaces, including those that are otherwise partly or completely inaccessible. Monuments in Litomyšl are also open for free or a reduced fee. 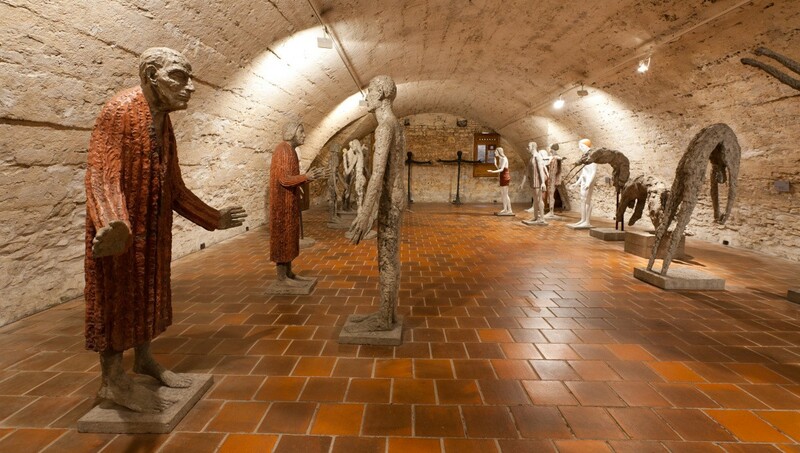 Among these are the castle cellars, which offers not only at tour of the rooms with the sculptures of Olbram Zoubek, but also the exhibit of the Heart for Václav Havel. You can make your tour even more pleasant with a glass of wine. Every year in November and December the castle cellars in Litomyšl are scented by needles, mulled wine and gingerbread and illuminated by hundreds of Christmas decorations made by the companies Ozdoba CZ from Dvůr Králové and Rautis from Poniklá. Some of the decorations are only available in the castle cellars. 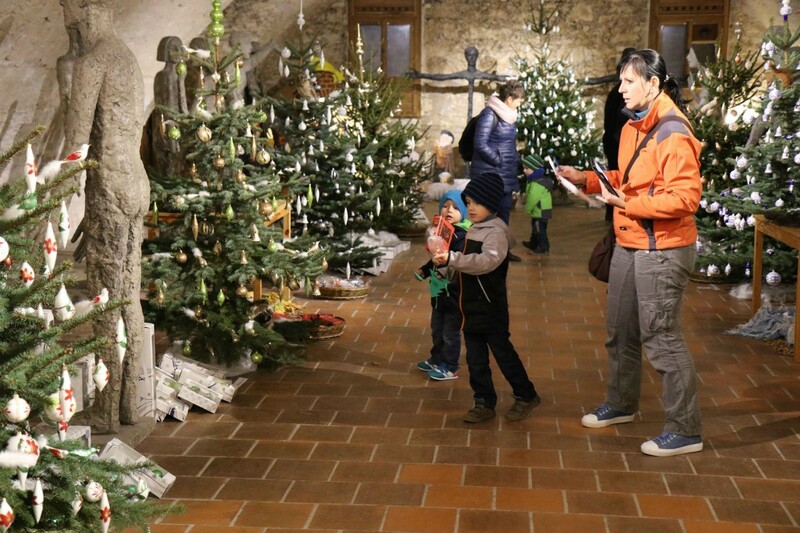 The rooms of the cellars are filled with trees, covered in ornaments of various colors and shapes and there is a nativity scene with a brief quiz attached. At the same time there is also the traditional workshop for the decoration of glass ornaments. There is free mulled wine for the adults and all can sample the homemade cakes. However that is by no means all. Each visitor can buy a ticket for the tombola. According to the drawn number they can pick the labelled tree and under it find a lovely present. Especially for the children there is an attractive secret Christmas forest with animals that transforms almost the entire cellars. At the beginning of December the Castle Cellars come under infernal rule. Children misbehave all year round and the book of sins is successfully filled. More than once Lucifer spits with joy and stamps his hoofs! The devils know well that Mike is always looking at his tablet, Joe doesn’t do his homework on time, Jane doesn’t want to eat her greens and Jackie doesn’t tidy at home and doesn’t help mum ... That’s little souls for you! But never fear, fairy tales normally have a happy ending. Visitors will be entertained in fifty performances by the devils with Lucifer at their head, angels and Saint Nicholas. Various trials await the damned souls within fifteen-minute tours of the caverns of hell. But as long as people are truly sorry for their sins they will be saved and enjoy the happiness of receiving a second chance to make up for their errors back on the surface. The programme is suitable for brave kids from the age of six or for sinners of all ages. A visit to hell can be reserved at www.smetanuvdum.cz. Each specific time has 30 tickets available (on-line always 24 tickets). However of course those without tickets can make a trip to hell. There are always several tickets available at the castle cellars cash desk for each time. Individual times for performances and further details can be found at www.smetanuvdum.cz. The event The Castle Cellars Under Infernal Rule is jointly organised by Smetanův dům, Smetanova Litomyšl, o.p.s., Dům dětí a mládeže Litomyšl and Litomyšl State Castle. Shortly before Christmas, on 18 December 2011 Václav Havel died in his sleep; a man whose words and deeds evoked a response from around the world. His attitude toward life was defined by the battle for human rights and their maintenance across the world. People of all generations remember him as a defender of democracy, value his approach in the period of the Velvet Revolution and in the year spent at Prague Castle, as well as in the years that followed, always faithful to his ideals. Up to the last moment he encouraged in people activity, respect for their country, and responsibility for their lives and those of others. He offered an alternative to a life filled only by material values. He offered belief in mankind. Since 2014 the Heart for Václav Havel has been housed in the castle cellars. 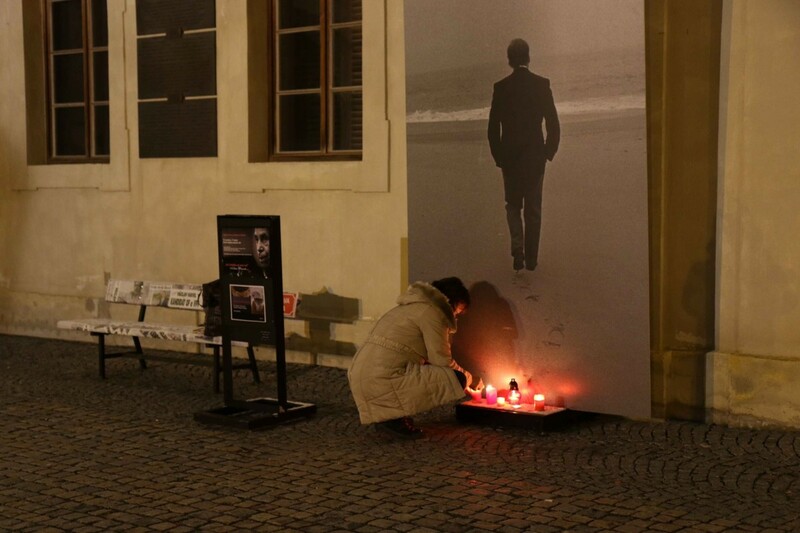 Each year, on 18/12, the memorial site in front of the castle is renewed, and the Heart for Václav Havel can be visited for free.